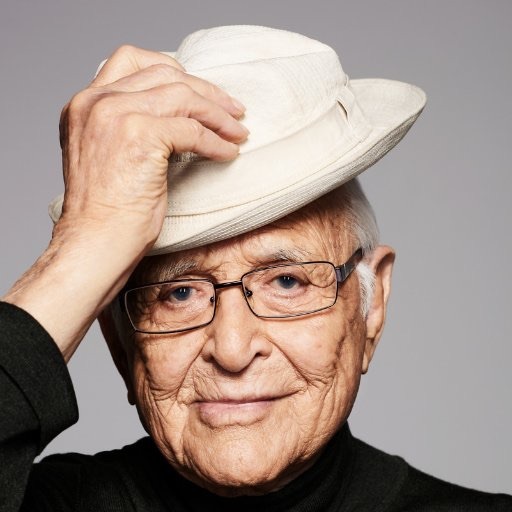 As the media research and evaluation arm of the Norman Lear Center, we study stories -- in film, TV, documentaries, games, art and news -- and their impact on audiences. We help media makers, cultural change organizations and foundations understand audiences and how to engage them. Do liberals enjoy the same TV shows as conservatives? Do they experience similar emotions while viewing their favorite shows? Our new study looks for connections between media diets and political beliefs, tracking changes from 2008 to 2018. We surveyed a national audience for their views on issues such as guns, abortion and the environment, as well as their news and entertainment preferences. Using statistical clustering techniques, we identified three ideological groups: The Blues, who have liberal attitudes toward most political issues, are also liberal in their entertainment consumption, enjoying entertainment from different cultures with values different from their own. The Purples, a swing group with positions across the political spectrum, are voracious TV viewers who say they learn about social issues from the entertainment they enjoy. The Reds, who hold conservative views on most issues, watch the least entertainment TV and get the least pleasure from it. In partnership with social justice organization Color of Change, we analyzed how race is portrayed in new and syndicated crime shows. Stay tuned for the full report in May 2019. The Lear Center is home to The Africa Narrative, a major initiative to change the recurring media messages of Africa as a place of terror, famine and crime. Our content analysis analyzed portrayals of the continent on Western TV. Black Panther movie? Trump's disdainful remark about African immigrants? Big Game issues? Learn how images of Africa and its 1.2 billion people are portrayed in the media. These handy how-to guides are designed to help news makers navigate the waters of media metrics. Our newest, Web Metrics for Nonprofit News Organizations, is a step-by-step walk through analytics software that can help you understand your audiences. Check out the series. Is There a Gender Gap In America's Newsrooms? Women are underrepresented in newsrooms and are less likely to read political and international news, but when a newsroom closes the gender gap, does it result in a higher share of women in their audience? Newspaper Engagement Strategist Alyssa Zeisler investigates the relationship between women in news production and their consumption of news in this case study. Can Films Change People's Behavior? MIP has developed an innovative new survey instrument that answers a question that has long preoccupied media researchers: Can films really change people’s behavior? MIP is proud to announce findings from a series of surveys that measure the impact of a film on viewers’ knowledge, beliefs and behavior. Read our Film & TV reports here. Media futurist and MIP Senior Fellow Jessica Clark developed a symbol font and associated deck to fill the gap in shared language between makers and funders around impact models. ​Watch her Annenberg Digital Lounge Workshop here. Find more information on Jessica Clark. New to Impact Strategy Deck: Cards to denote Trust and Collaboration. In her presentation at the Paley Center, Johanna Blakley addresses how we can connect the dots between media exposure and social or political action. She summarizes the results from the Lear Center’s impact studies of the documentary film Waiting for “Superman,” the narrative feature film Contagion, and the Guardian’s global development news website. She also explains how mixed methods research can be used to assess changes in knowledge, attitudes and behavior from media exposure. Read more. Johanna Blakley: Who Cares? from frank on Vimeo. ​Johanna Blakley, the Lear Center’s Managing Director, presented at the frank conference, which gathers people who use strategic communications to drive social change. "Journalists don't as a rule, have a specific impact in mind when we begin our journalism. We list project goals, but other than bringing awareness to an issue or event we do not identify what we’d like to see happen next. This is a story about the one time we did..."
Making Sense of Data: Can Natural Language Processing Help? To get a better handle on natural language processing and its practical uses and applications for journalism, MIP commissioned a primer to the field. The paper, written by Dr. Atefeh Farzindar at NLP Technologies, surveys several NLP techniques. Dana Chinn weighs in on which audience metrics matter most in the newsroom in this MediaShift article. Chinn said, "the most important factor in determining whether a news outlet measures impact metrics such as awareness and comprehension isn’t its tax status but instead its leadership team."